Passengers aboard the hop-on hop-off tour will experience a unique and leisurely way to see the Franschhoek Valley as they journey through rolling vineyards in a magnificent double-deck railway tram and an open-air tram-bus stopping in at some of South Africa’s oldest and most distinguished wine estates. A combination of double deck railway tram and tram-bus transports passengers around a loop of stops allowing them to hop-off at each stop and experience the activities on offer, be it wine tasting, a cellar tour, lunch or simply a stroll through the vineyards and when they are ready, hop-on to continue the tour. The tour takes passengers right into the heart of the Franschhoek Valley, with a narration focusing on the history of Franschhoek and wine cultivation in the valley and unparalleled views of the valley and vineyards. The Blue Line & Green Line visits the following estates: Mont Rochelle, Le Lude, La Bri, La Bourgogne, Holden Manz, La Couronne, Rickety Bridge and Grande Provence. The Red Line & Yellow Line visits the following estates: Maison, Eikehof, Leopard’s Leap, Chamonix, Dieu Donne, Franschhoek Cellar, Rickety Bridge and Grande Provence. The Orange Line & Purple Line visits the following estates: Noble Hill, Babylonstoren, Backsberg, Glen Carlou, Solms-Delta, Vrede en Lust, Plaisir de Merle and Allee Bleue. 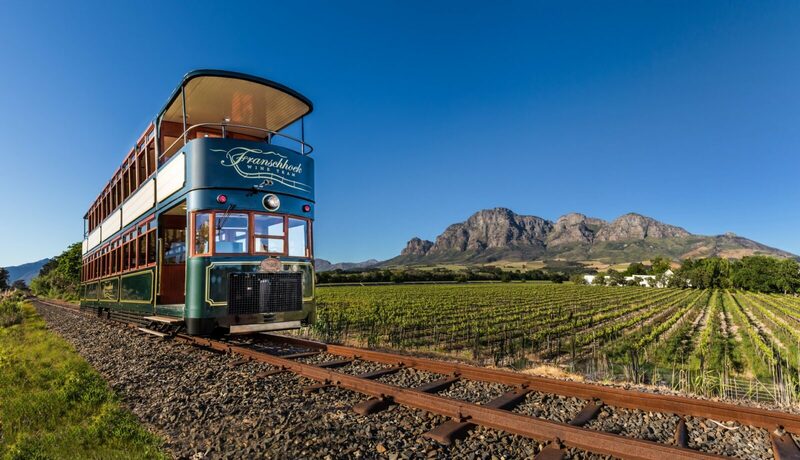 Franschhoek Wine Tram now offers an exclusive and direct transfer service from Cape Town and surrounds (including the airport) out to Franschhoek. Transfers are private to each booking, direct door-to-door, include a return transfer and can be arranged to accommodate an extended stay over in Franschhoek at no additional cost. Tickets can be purchased online or at the Franschhoek Wine Tram ticket office, 32 Huguenot Rd, Franschhoek (pre-booking is advised). 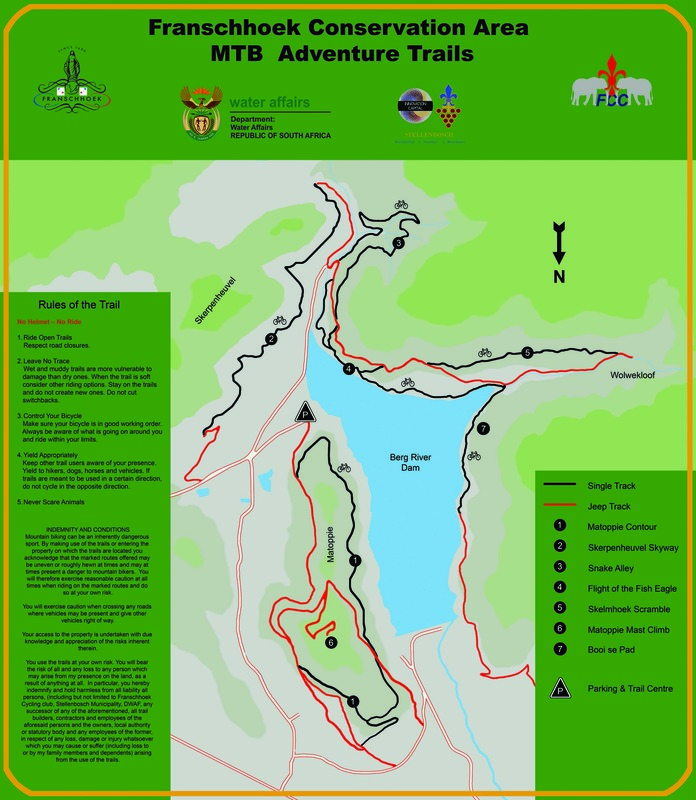 Please see our website, www.winetram.co.za, for ticket prices and more information.